The number of people using social media keeps on increasing with each rising of the sun. For businesses already with strong social media presence, this is very good news since they will continue to grow their fan base and followers and get more leads and sales. But for those without any presence in the social media, they will continue to lose an incredible opportunity to increase their website traffic and exposure to their brands. If you are that business which yearns to enjoy the benefits of having a strong social media presence, then Rocket Marketing and Design is here to help you. At Rocket Marketing and Design, we specialize in offering custom social media marketing solutions to both existing and new business in Weston. We have a dedicated team of social media experts, who are well versed with all the strategies and techniques needed to give you maximum exposure and meet your various social media goals. Whether you need to increase interactions, engagement, grow your fan base, run contests and giveaways, we are the right people to talk if you want quality social media marketing Weston. If your brand is active and it consistently engages with your audience, this will help in generating more awareness about your products and services. Through the social media, you have an awesome opportunity to drive real traffic to your website, spread the knowledge about your services and products, create a positive reputation about your business and build a customer loyalty among your online followers. How Can Rocket Marketing and Design Help You? Well defined and customized social media strategy – the social media has a plethora of components and not all will be relevant to your business. We work closely with you to create a well defined and highly tailored social media marketing Weston strategy that will ensure you achieve all your goals. We basically work on Facebook, Twitter, Instagram and Google+. 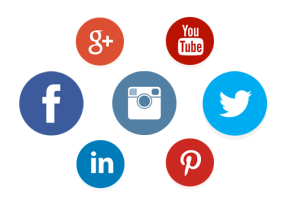 Setting up and customizing your social media accounts – after we come up with the strategy, we will set up and customize your social media accounts, so that they are ready for use in spreading the word about your business to the online world. We will avail to you the skills as well as the technical experience to help you set the accounts in the most professional manner. Generate organic following – we use a variety of white hat methods to generate organic following in all your social media accounts. You thus won’t have to worry about bots following you and creating the impression that you have a large following yet they are all fakes. As a valued client of Rocket Marketing and Design, we guarantee to work with you alone and not with any of your competitors for the duration we will have a valid contract with you. We also provide you with monthly reports on the progress of the social media campaigns so that you can have a better comprehension on the growth of your social media accounts. Contact us today at 786 – 309 – 8333 for quality, reliable and affordable social media marketing Weston services. You can also get to us through the contact form given and we will get back to as soon as we receive your message.